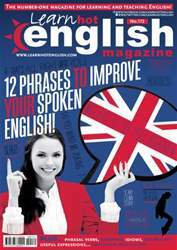 Digital Subscriptions > Learn Hot English > 172 > WHEN A PHOTO IS THE NEWS! You’re going to read about three news stories concerning photos. Look at the titles of the stories. What do you think the stories are about? Make notes. 1. What did Ashley accidentally do that led to his arrest? 2. What was the value of the victims’ stolen items? 3. What did Rihanna’s photo help police do? 4. What sort of punishment could they be facing? 5. How would you describe the outcome of the hijacking?